One Owner | Navigation | Bluetooth | Heated Seats | Sunroof | Push Button Start Our One Owner 2014 Acura MDX SUV with Technology package, in Fathom Blue Pearl, offers refinement and style paired with abundant power and class! Riding you and your family around in style, this machine is powered by 3.5 Liter V6 with 290hp paired with a smooth shifting 6 Speed Automatic transmission. You'll enjoy a comfortable ride in this SUV thanks to the Front Wheel Drive delivering 28mpg on the highway. Whether you are needing to run errands, transport kids, or want to hit the road for a family road trip, our MDX is ready for you. Open the door to your sleek looking SUV to find an excellent and spacious cabin featuring a huge sunroof, heated leather seats, tri-zone automatic climate control, two console displays, and a multi-angle rearview camera. You'll stay safely connected via Bluetooth while enjoying your favorite tunes on an eight-speaker sound system with iPod/USB interface, Pandora, and satellite radio capability. Spontaneous road trips are made easier with the color touch navigation system, and AcuraLink added with the Technology package. 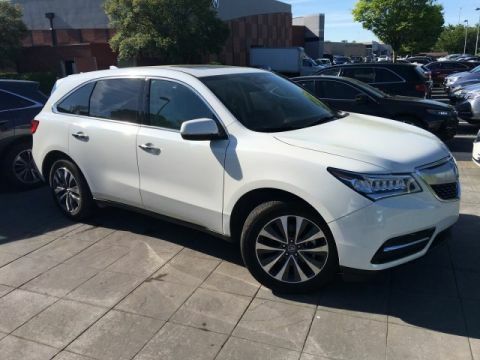 Our Acura MDX is truly a first class ride you deserve! Our Acura MDX received excellent safety scores thanks in part to advanced security systems that have been carefully designed to keep you and your precious cargo out of harm's way. Highly desirable, reliable, and filled with top-shelf amenities, this is the family-friendly option you've been looking for! Print this page and call us Now... We Know You Will Enjoy Your Test Drive Towards Ownership Gary Force Acura utilizes Live Market Pricing software, that ensures the most competitive local pricing on all Pre-Owned vehicles in inventory. And for that added peace of mind, we offer a complimentary CarFax report for every vehicle. 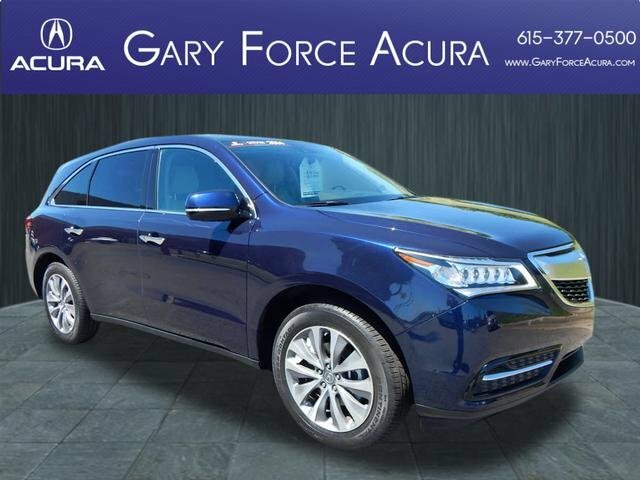 One Owner | Navigation | Bluetooth | Heated Seats | Sunroof | Push Button Start Our One Owner 2014 Acura MDX SUV with Technology package, in Fathom Blue Pearl, offers refinement and style paired with abundant power and class! Riding you and your family around in style, this machine is powered by 3.5 Liter V6 with 290hp paired with a smooth shifting 6 Speed Automatic transmission. You'll enjoy a comfortable ride in this SUV thanks to the Front Wheel Drive delivering 28mpg on the highway. Whether you are needing to run errands, transport kids, or want to hit the road for a family road trip, our MDX is ready for you. Open the door to your sleek looking SUV to find an excellent and spacious cabin featuring a huge sunroof, heated leather seats, tri-zone automatic climate control, two console displays, and a multi-angle rearview camera. You'll stay safely connected via Bluetooth while enjoying your favorite tunes on an eight-speaker sound system with iPod/USB interface, Pandora, and satellite radio capability. Spontaneous road trips are made easier with the color touch navigation system, and AcuraLink added with the Technology package. 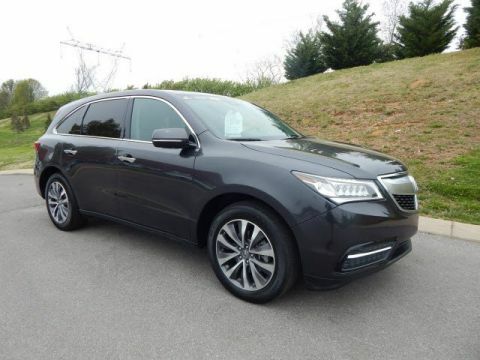 Our Acura MDX is truly a first class ride you deserve! Our Acura MDX received excellent safety scores thanks in part to advanced security systems that have been carefully designed to keep you and your precious cargo out of harm's way. Highly desirable, reliable, and filled with top-shelf amenities, this is the family-friendly option you've been looking for! 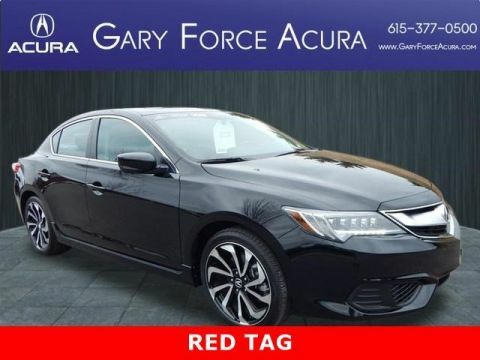 Print this page and call us Now... We Know You Will Enjoy Your Test Drive Towards Ownership Gary Force Acura utilizes Live Market Pricing software, that ensures the most competitive local pricing on all Pre-Owned vehicles in inventory. And for that added peace of mind, we offer a complimentary CarFax report for every vehicle.